North County Incorporated, Regional Development Association (NCI) names its 2017 NCI Salutes 30 Leaders in Their Thirties Leadership Award recipients. The rising professionals are recognized for making their mark in their careers and civic work in the North County area. They were honored at a luncheon October 31 at Christian Hospital. “North County’s impressive young business leaders are making a strong impact in our community professionally and through volunteerism. We look forward to celebrating them and their contributions to North County. It’s such an inspiring event with over 300 business, civic and community leaders who attend each year.” said Rebecca Zoll, NCI president and CEO. Arash Bagheri, vice president and branch manager for Regions Bank, considers it a privilege to work for a company that supports and promotes volunteerism, educational initiatives and economic development within our communities. His expertise is in consumer and small business relationships with an emphasis in Housing, Poverty, Education, Job Readiness, Financial Literacy and Developing Small Businesses. Arash is passionate about community betterment and volunteering. He maintains active involvement in several community service organizations and projects such as The Urban league’s Save Our Sons, Jobs for America’s Graduates, The bank’s partnership with Jennings School District, Junior Achievement, Operation HOPE, HEROES CARE and Inner City Capital Connections. 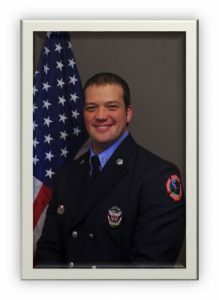 Regions Bank is a member of North County Inc.
Mark Barnhart is a paramedic and firefighter for Pattonville Fire Protection District who responds to emergency calls as a fire fighter and also provides advanced life-saving care and rescue services to the sick and injured. Over the last three years, Mark has served as the Community Outreach/Public Education Coordinator and hosted a Citizen’s Academy Program, offering first-aid topics like CPR training, fire extinguisher training and fall prevention for seniors. Mark is a member of the Kiwanis Club of Bridgeton and the International Association of Firefighters. He received a Bronze Medal of Valor for assisting in the heroic rescue of a man who fell through the ice at Creve Coeur Lake. 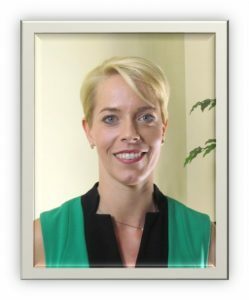 Pattonville Fire Protection District is a member of North County Inc.
Erin Brooks is an assistant clinical professor at the University of Missouri-St. Louis and works in its on-campus pediatric clinic. She also sees patients, with her students, at Family Care Health Center at Carondelet. Additionally, Erin works with students to conduct research related to children with learning disabilities as part of UMSL’s Pupil Project. She is passionate about her work with the College of Education’s Girl’s Inc. Program, which introduces minority girls to the STEM fields. Erin helped an area Girl Scout bring together multiple health professionals to provide health screenings to underserved resident by recruiting several students to provide optometry screenings. Because of this, the Scout achieved the highest distinction possible within the Girl Scouts. Erin loves to empower young women, helping them recognize anything is possible. 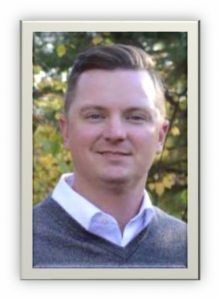 The University of Missouri-St. Louis is a member of North County Inc.
Andy Cook is responsible for business development for Fred Weber and is a salesman at heart. It is not the sale that drives him, rather the opportunity to build relationships. 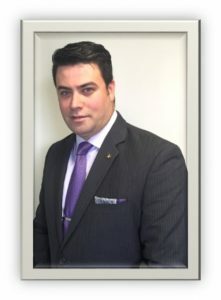 He’s been with Fred Weber since 2002 and believes the key to good business relationships revolves around trust and a genuine desire to serve others. He practices these traits in business as well as in his personal life where he serves as a deacon at his church and coaches Little League in the community. Andy is active with Holt International, a nonprofit that helps orphaned and vulnerable children to thrive. He and his wife have sponsored three children in search of a loving home. He is also actively involved with the Tim Tebow Foundation, where he and his wife chaperoned a prom night experience for teens with special needs. Andy is also a true civic leader, serving as secretary and past chair for Maryland Heights Chamber of Commerce since 2013. He serves as board member of North County Inc., and we are proud to have his passion and commitment to the North County region. Fred Weber is a member of North County Inc.
Michelle Cooley is an Instructional Coach in the Riverview Gardens School District at Westview Middle School. Her continuous passion and conviction to inspire students academically and socially has earned her many achievements and opportunities within the community. She has worked in every capacity within the school, from math interventionist to principal intern this school year. At Westview, she created the first Algebra I Honors course for 8th graders and advanced 80 percent of her students to Geometry Honors. Over the course of 5 years, she has led the charge in sending over 100 students to the high school with advanced credits in mathematics. She has also assisted with developing middle school math curriculum, facilitating professional development and providing teachers with effective strategies to increase student achievement in Mathematics and Science. Michelle has forged partnerships with Emerson, Apple, Maryville University and the Girl Scouts to bring Robotic Coding and 3D printing to her students. 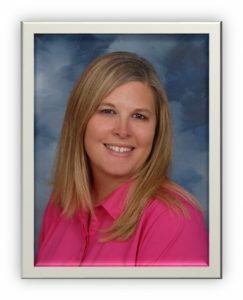 Riverview Gardens School District is a member of North County Inc.
Dr. Lyndsay Cowles is a passionate, student-driven educator. 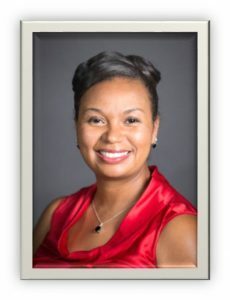 As an academic support specialist for the Jennings School District, Dr. Cowles provides meaningful professional development for teachers and has played a pivotal role in improving Professional Learning Communities, workshops and adult classes with local universities including UMSL and Lindenwood University. Additionally, she led the development of the District’s K-12 curriculum in English and mathematics for this 2017-18 school year. Dr. Cowles also represented the School District in the Missouri School Improvement Program and Missouri Network for Transforming Education Preparation. She is the recipient of the Outstanding Associate Instructor Award and was awarded the Honor Roll for Fishman Price for Superlative Teaching. Because of her commitment to education, Jennings School District continues to see higher student achievement and exceeds Missouri’s accreditation standard for the third consecutive school year. Jeff Dossett, director of Imaging and Dialysis Services at Christian Hospital is an outstanding leader, demonstrated by his never-ending energy to improve the patient experience across the organization. Few health care leaders can boast the highest level of performance across very diverse and strategically important areas within the hospital. Jeff has effectively used his performance improvement background to improve daily processes in his departments and across the hospital and draws on past experiences to hardwire excellence throughout the organization. He has been instrumental in the planning and construction for the Siteman Cancer Center, which opened July 2017. 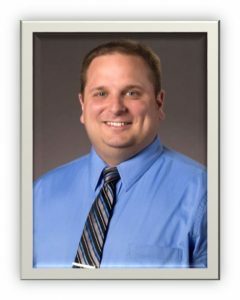 Jeff is an active member of his church and is a Certified Six Sigma Black Belt. He has a passion for helping others and an unmatched drive to make the North County community stronger. 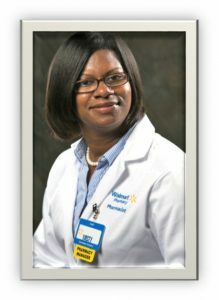 Christian Hospital is a member of North County Inc.
Dr. Misty Farr is the pharmacy manager of the Wal-Mart Florissant store and is responsible for compliance and overseeing day-to-day operations. She’s a huge advocate for senior and lower-income patients, working hard to deliver quality pharmacy care throughout North County and connecting patients with resources that will lead to better overall health outcomes. Dr. Farr serves as a liaison between the Wal-Mart store and Greater North County Chamber of Commerce. 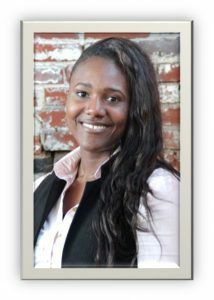 She’s a member of the Missouri Pharmacy Association, serving on the Professional Affairs Committee and a member of the Minority Women Pharmacist Association. Dr. Farr is a recipient of the St. Louis College of Pharmacy ”Black Heritage Distinguished Alumnus” award, the St. Louis American Foundation “Salute to Excellence in Health Care” award, the Missouri Pharmacy Association “Distinguished Young Pharmacist” award, the 2017 Missouri Pharmacy Association “Pharmacist Making a Difference Award,” at its annual convention last month. 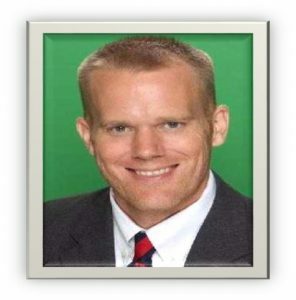 Dr. Jon Fitzgerald has worked at Pattonville High School as an assistant principal since 2012. He also serves Pattonville High School as the coordinator of alternative education. During his five years at the school, Jon has transformed alternative education so students have more opportunities to graduate from high school in four years. He implemented online learning for students who need additional coursework and an alternative educational setting for learning. In addition, Jon has transformed the STEM programs at Pattonville High School and worked to develop strong partnerships with business and community leaders. He has successfully partnered with community professionals to share their expertise on providing real world STEM opportunities for students. Perhaps his greatest achievement in this area has been in forming a successful relationship with the United States Navy. Through this partnership, the district offers students hands-on opportunities to learn about underwater robotics. Jon is a member of the Northwest Chamber of Commerce and Maryland Heights Chamber of Commerce. Pattonville School District is a member of North County Inc.
Enrique Flores is the director of Real Estate Development for the University Square Community Development Corporation, which strives to form strong partnerships with community stakeholders and is housed at the University of Missouri-St. Louis. These partnerships are key in cultivating collaborative initiatives that create and maintain vibrant commercial districts and neighborhoods that enhance the local quality of life and contribute to regional economic development. Enrique leads many of the University Square’s endeavors. This year, alone, he has been key in coordinating projects including an Urban Land Institute’s Technical Assistance Panel at the North Hanley Metro Station; the RFP process for a jointly marketed 30-acre site near I-70; and he is coordinating a potential mixed-used mixed-income development project along Natural Bridge Road. Enrique is a board member of the Community Builders Network. 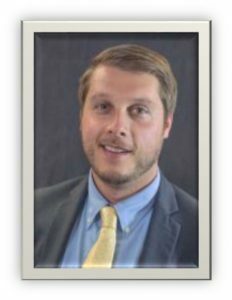 He is trained as an architect and urban planner, striving to attract economic and job growth to North County. University of Missouri-St. Louis is a member of North County Inc.
Dr. Bruce Green has been an educator for more than 16 years, and serves as assistant superintendent for the Hazelwood School District, managing three high schools of more than 5,000 students. He has made significant contributions to the North County community by helping thousands of children succeed through academic achievement. He has the ability to attract, guide, and motivate students and staff to reach their highest potential. Bruce is the recipient of the Harris-Stowe State University Distinguished Alumna Award, Iota Phi Lambda Apple of the Teacher Award; Adelaide Schlafly Education Award and St. Louis American Salute to Excellence Award among others. It goes without saying, he is passionate and committed for bettering the North County community where he lives, works and serves. 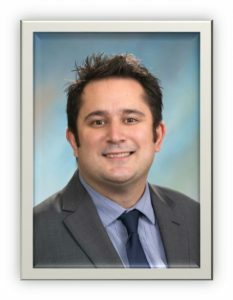 Hazelwood School District is a member of North County Inc.
Darren Hillis, a board-certified pharmacist for SSM Health DePaul Hospital is the Pharmacy’s team leader, he is responsible for managing 76 pharmacists and technicians, along with clinical and dispensatory pharmacy operations. Darren has helped lead the transformation of the hospital’s pharmacy activities, elevating the care and medication safety for DePaul’s patients. 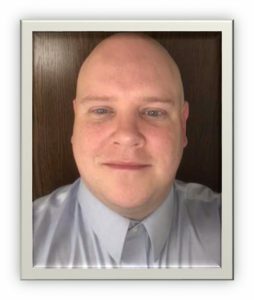 He also serves as the pharmacy management preceptor for the hospital’s pharmacy residency program as an adjunct clinical instructor at St. Louis College of Pharmacy and as a clinical affiliate faculty for SlU-E College of Pharmacy. He loves letting high school students shadow him to further understand the pharmacy career. Darren has served as a Heart Walk team captain for the past two years, raising money and awareness of the benefits of good cardiovascular health. He has also been an active volunteer in the American Cancer Society’s Relay for Life. SSM Health DePaul Hospital is a member of NCI. Dr. Chris Hubbard Jackson epitomizes community volunteerism. She believes in investing in her community by mentoring and coaching women interested in entering or advancing their education. As a director of research in higher education, she has contributed to the success and excellence of students by establishing a Research Review Board to ensure research is conducted ethically. As a Florissant resident, Chris serves as president of the Ferguson-Florissant School District’s Halls Ferry Elementary School Parent Teacher Group. She also serves on the St. Louis Crisis Nursery Advisory Board, Berkeley St. Martin’s Childcare Center Board and regularly helps the children and babies in need at the St. Louis Crisis Nursery North location at Christian Hospital. Additionally, she is a member of NAACP and the National Urban League. Ferguson-Florissant School District and St. Louis Crisis Nursery are members of North County Inc.
Bill Huber has a love of teaching and learning. 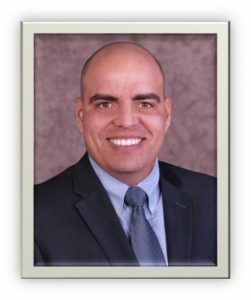 He began his career at Incarnate Word Academy first as a social studies teacher and now as its assistant principal. His tough yet engaging style quickly gained him enormous respect from both his students and faculty. Bill seamlessly transitioned to his new administrative role, maintaining his same outstanding skills and character every single day. He is described as a “work horse,” doing whatever is necessary to ensure projects are completed and of high quality for students. Bill exemplifies servant leadership. His commitment and passion for his students and their success are his priorities. His fellow administrators say Incarnate Word Academy is a better place because of Bill. Outside the classroom. Bill lends his time and talents. He’s been a moderator of the school’s Student Council, coached soccer and led its Cross Country program for many years. Bill is a lifelong North County resident, raised in Florissant where he now resides. 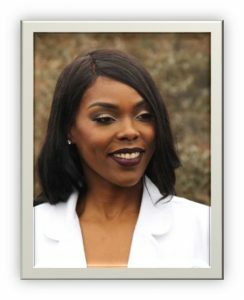 Dr. Eboni January, recognized as one of the “50 Most Intriguing Women” in St. Louis by DELUX Magazine, is a board certified OBGYN with a commitment to adolescent care, preventative medicine, mentorship and fitness. She also serves as co-CEO of Pavlov’s Wellness, which institutes health and wellness in small and large companies. Eboni established a “text coaching” fitness program to decrease obesity among her patients. The popular program was featured in Gazelle Magazine, The St. Louis Argus and Fox 2. In 2015, with Olympic gold medalist Jackie Joyner Kersee and Eboni helped promote a childhood obesity campaign. Her CBS podcast “The Wellness Wheel” offers holistic approach to living. The St. Louis Crisis Nursery is a member of NCI. Jaime Jenkins has worked for the Greater North County Chamber of Commerce for six years. Starting as the Chamber’s administrative assistant, her role quickly expanded and became far more critical to the success of the Chamber. Over the past year, she has cross-trained with the retiring marketing director so the Chamber would not lose ground during the transition. During the interim in-between presidents, Jaime ensured communication with chamber members remained consistent and reliable. Earlier this year, she led the Chamber’s March Madness drive, collecting more than 1,000 diapers for the Saint Louis Crisis Nursery. She also managed the community-wide drive for collecting cases of water for Hurricane Harvey flood victims. Jaime was involved in Robinwood Elementary’s PTO for 10 years, serving as president for 8 of those years, and received a “Special Volunteer” award. She also spent 4 years as a Cub Scout leader and goes the extra mile for the growth of the Chamber and the betterment of the community for which she lives. 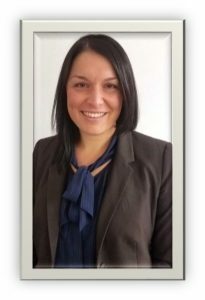 The Greater North County Chamber is a member of North County Inc.
Erin Lee is a lifelong resident of North County and serves as Development Manager for The Little Bit Foundation, a nonprofit with the objective of breaking down barriers to learning for at-risk students. The organization currently supports three North County school districts: Jennings, Normandy and Riverview Gardens. Erin’s special talent in event management and organizing fundraisers have collectively generated over a million dollars to sustain and grow its programs and services. Erin is passionate about raising money to support “Project Graduation,” a partnership between Riverview Gardens School District and The Little Bit Foundation that strives to improve graduation rates by addressing the fundamental needs of the students. 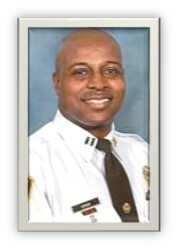 The Little Bit Foundation, Jennings, Normandy and Riverview Gardens School Districts are members of North County Inc.
Captain Norman Mann began his career with the St. Louis County Police Department in 2001 serving as a Police Aide in the Vehicle and Supply Unit. Today he serves as Captain and Commander of the Bureau of Staff Services. He is proud of the partnerships he developed with several organizations including North County Churches United and Boy Scouts of America, to build stronger relationships between law enforcement and the community. Norman was also involved in Emerson’s “Neighbors Helping Neighbors” initiative to aid businesses damaged during the 2014 civil unrest in Ferguson. Captain Mann serves as a member of Backstoppers and executive board member of National Organization of Black Law Enforcement Executives, St. Louis Chapter, as well as the St. Louis County Police Athletic League. St. Louis County Police Department is a member of North County Inc.
Dr. Kevin M. Martin, is known for his passion towards children. 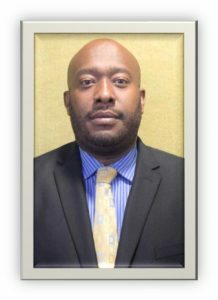 As assistant principal at Hazelwood School District’s Northwest Middle School, he is responsible for Instruction and Curriculum and challenges students and teachers to be their best and continue to expect the best from one another. Kevin entered the education sector as a teacher with fresh ideas that excited not only students, but the administration as well. While working on raising test scores, he also wanted to expose his students to college. In the past, he helped raised funds for a five-day, no-expense college tour for over 40 students and adults. He maintains a mentoring relationship with many of his students long after graduation. He has been active in the community with Big Brothers/Big Sisters, as the University of Missouri St. Louis’ alumni, and is currently serving on the board of trustees for St. Louis Community College. Hazelwood School District and St. Louis Community College–Florissant Valley are members of North County Inc.
Venus Martz was recently named president of the Greater North County Chamber of Commerce, responsible for identifying opportunities for collaboration and relationship building to unite businesses. A native New Yorker, Venus moved to St. Louis over 10 years ago and chose to make North County, home. She is proficient in managing projects that create positive impact and measurable results. Prior to choosing to join the Chamber, she used her communication skills at the St. Louis Crisis Nursery, helping advance the awareness around the needs of babies and children in our community. A dedicated community member, Venus was a past board member for the Greater North County Chamber of Commerce, the Breakthrough Coalition, and Professionals in Retirement Community Living. Currently, she serves on the Board of Directors for North County Inc., Show Me Arts Academy and Valley Industries. 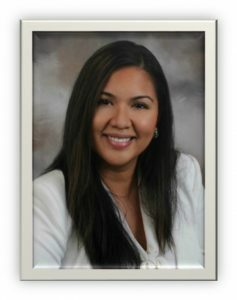 The Greater North County Chamber of Commerce is a member of North County Inc.
Dr. Miranda Ming, assistant principal at Jennings School District’s College & Career Prep Academy, is a devoted educator. 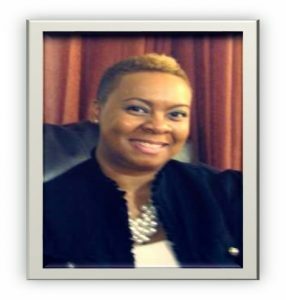 She joins the administrative team with vast experience in student achievement and engagement. With her leadership, the Academy achieved 100% graduation and 100 percent college and career placement in 2016-17 as well as the 2017 National Academy Foundation’s President’s Award and 2017 Monsanto School of Excellence Award. Miranda presents locally and nationally, addressing student achievement, incorporating tech tools to improve instruction, and collaborating with corporate partners. She works tirelessly to improve the quality of instruction for students of color and encourages all stakeholders to embrace and celebrate equity. She obtained her Bachelor, Master and Doctorate Degrees from the University of Missouri St. Louis. 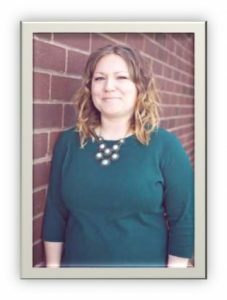 Jennings School District is a proud member of North County Inc.
Emily Moxey serves as an administrative intern for Special School District, working in the Hazelwood School District. 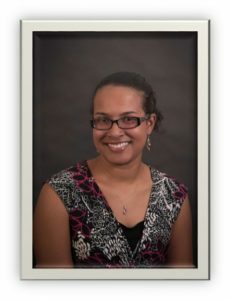 Emily is responsible for supporting teaching staff with instruction and assisting with the special education process through professional development, small group and one-to-one coaching. 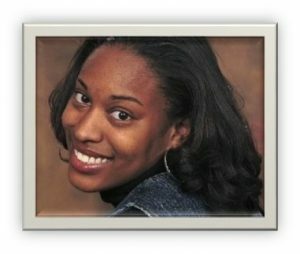 She began her teaching career at Special School District educating deaf and hearing impaired students. She planned and implemented instruction across content areas, developed individualized education programs and collaborated with other professionals to meet academic, linguistic and auditory needs of students. In addition, Emily has implemented a variety of research-based intervention programs and served as an assistant coach for Hazelwood’s School District’s Girl’s on the Run team. She received the Emerson Excellence in Teaching Award in 2016 and named Special School District’s 2016 Teacher of the Year. 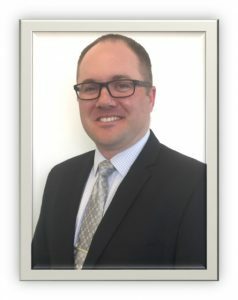 Special School District is a member of North County Inc.
Jonathan Mueller was born and raised in North County and is a graduate from Lutheran High School North. 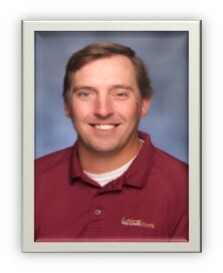 Jon joined the Lutheran High School North faculty in 2011. He served as an instructor in business and physical education. In his second year at Lutheran North, Jon was appointed as the director of athletics, responsible for scheduling, hiring, purchasing and State compliance of the athletic department. He recently oversaw the LaMothe Field $290,000 stadium lights project, which included stadium lights, parking lights and a new scoreboard. Jon successfully balances roles as a classroom teacher, football and baseball coach as well as part-time school administrator. He’s a member of Missouri Interscholastic Athletic Administrators Association and Missouri Baseball Coaches Association. Lutheran High School North is a member of North County Inc.
Cory Patterson is the head football coach, sophomore dean and P.E and health instructor for Trinity Catholic High School. His professional career has led him to work for companies such as A.G. Edwards and St. Louis Community College. Cory is passionate about coaching football and mentoring young men since he began as a volunteer coach in 2003 at Herbert Hoover Boys and Girls Club. He has also coached with the North County Cowboys Football association. Cory is positively impacting the lives of young people. He is not just coaching young men in football but coaching them in life. He demands excellence both on and off the field, insisting that academics come first and young men act like gentlemen. Cory regularly finds opportunities for the team to give back to the community and instills the importance of contributing to their community and helping those in need. As a teacher, he expects that same level of excellence from his students and takes advantage of every opportunity to help students grow. Trinity Catholic High School is a member of North County Inc.
Sgt. Mark Pounders began his law enforcement career with the City of Florissant in 2005 as a Patrolman. From the moment of his first day on the force Mark has done his job with passion and commitment. Within a short time Mark was transferred to the Anti-Crime Unit where he exceled as a top investigator and later moved to the Bureau of Investigations as a Detective. During that time Mark was selected among other top detectives to be an Investigator for the elite Greater St. Louis Major Case Squad. In 2013, Mark was promoted to the rank of Sergeant, assigned to the Bureau of Field Operations, then to the Anti- Crime Unit and eventually moved to the Bureau of Investigations as a Detective Sergeant where he oversees day-to-day operations.Sgt. 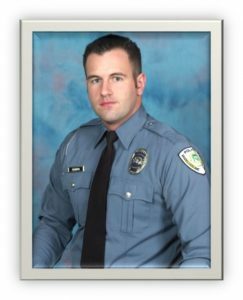 Pounders has earned several Commendations over his 12 years of service with the City of Florissant. He continues to mentor and lead, not only by his words but by his actions. Sgt. Mark Pounders cares about doing the best job he can for the community he has sworn to protect and serve. The City of Florissant is a member of North County Inc.
Sean Robertson, as Theatre manager of the Florissant Civic Center Theatre, cultivates relationships with the community and beyond. He recently reinstated the Creative Dramatics Camp. A Camp that introduces youth to theatre arts. Sean also secures artists for the popular, free “Music Under the Stars” Summer Concert Series in St. Ferdinand Park and helps coordinate one of the largest festivals in North County, the Valley of Flowers Festival. Sean can be seen on the City of Florissant cable station’s show “ON CUE,” highlighting upcoming theatrical productions. One of Seans most rewarding accomplishments was spearheading the efforts to continue the St. Louis Family Theatre Series, for many young children this is their first opportunity to see a live theatrical production. Under his leadership, the Florissant Civic Center Theatre will continue to grow and provide cultural opportunities of the highest quality to the entire region. 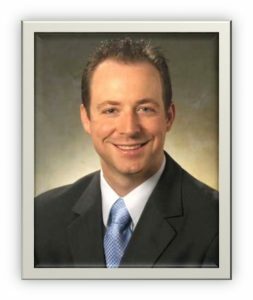 Kyle Stockmann, vice president of Regions bank, has managed three branches throughout his career with Regions: Wellston, Ladue and, currently, Jennings. He is active in the community, working with organizations to increase financial literacy. He is an advocate for Operation Hope teaching money management workshops and serving as a panelist in the bank’s 700 credit score community classes. Kyle also works with active military and veterans to help with financial education. 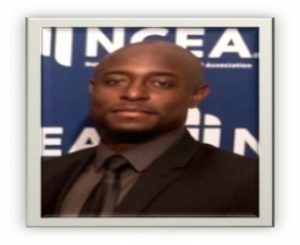 He volunteers with Ready Aim Advocate to teach elementary students the basics of money management and is a mentor to two students in the Jennings School District College Prep Academy providing guidance and leadership. Kyle also provides support for the Jobs for America’s Graduates program at Riverview Gardens High School, conducting mock interviews to prepare students for job readiness. He is a true leader and will do whatever it takes to help people achieve financial wellness. Regions is a member of North County Inc.
Dr. Exley Warren, principal of Wedgewood Elementary in the Ferguson-Florissant School District, brings a reputation for leadership and inspiring students to read. He supports teachers Exley places a significant focus on improving literacy. He recently partnered with the District’s librarians to plan and organize the 1 Billion Word Challenge where K-12 students participated through the Accelerated Reader tool, which monitors student’s comprehension ability. Additionally, Exley brought an intentional focus on Balanced Literacy through Guided Reading and the use of the Gradual Release of Responsibility model. Both researched-based models have proven to improve the academic outcome for students. He will soon begin a Saturday Academy for at-risk sixth graders. The program will allow time for academic tutoring and a basketball skills clinic. 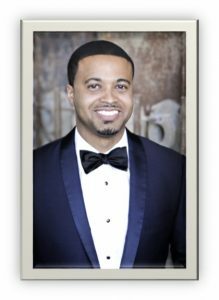 He is a member of the Kappa Alpha Psi, Fraternity Inc. and the North County Young Professionals Network. Ferguson-Florissant School District is a member of North County Inc.
Reverend Nicklaus Winker, was raised in North County and attended Holy Trinity Catholic School. 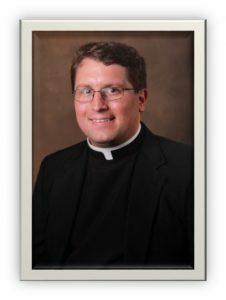 He serves as pastor of St. Ann Catholic Parish in Normandy and director of the University of Missouri-St. Louis’ Newman Center. Rev. Winker provides spiritual care and leadership of the Church, school, pre-school and cemetery where he manages the staff, budget and facilities. In his job at the Newman Center he supervises staff and budget to provide spiritual programs for UMSL students. Last summer, Rev. Winker spent hours installing LED lights to help lower cost and improve the learning environment for students. He also helped convert a room into a maker space where students learn about STEM. His civic involvement is vast. He’s a 4th Degree member of the Knight of Columbus, Msgr. Sprenke (“Monsignor Spring-Key”) Council and Bishop Wurm Assembly. ; a member of St. Ann Men’s Club, and ex-officio member of St. Ann School Board and UMSL Newman Advisory Board. The Northeast Deanery and the University of Missouri-St. Louis are members of North County Inc.
Jacqueline Womack is the assistant vice president and branch manager at US Bank in Normandy. As a financial services professional, Jacqueline enjoys using her skills to help people realize their financial goals. With over 16 years’ banking experience, Jacqueline has developed and executed award-winning sales and service strategies to help her teams achieve business goals. Her work has been recognized by US Bank with a Quarterly Pinnacle Award; Customer Experience Leader Award and Consumer Loan Growth Award. She is a committed volunteer, donating her time to Habitat for Humanity, St. Louis Public Schools and the Ferguson-Florissant School District. She has been a dedicated Big Sister for the past three years. Currently, she is President of the Board of The Soul Fisher Ministries; a non-profit organization dedicated to responding to the needs of youth with incarcerated parents. Jacqueline received her bachelor’s degree from the University of Missouri- St. Louis, School of Business Administration. U.S. Bank is a member of North County Inc.